Happy Saturday! How’s your weekend going? I would love to know what you have been up to? We had rain!!! Today has been very warm again, but I’m so happy we had some rain yesterday. It was definitely much needed! 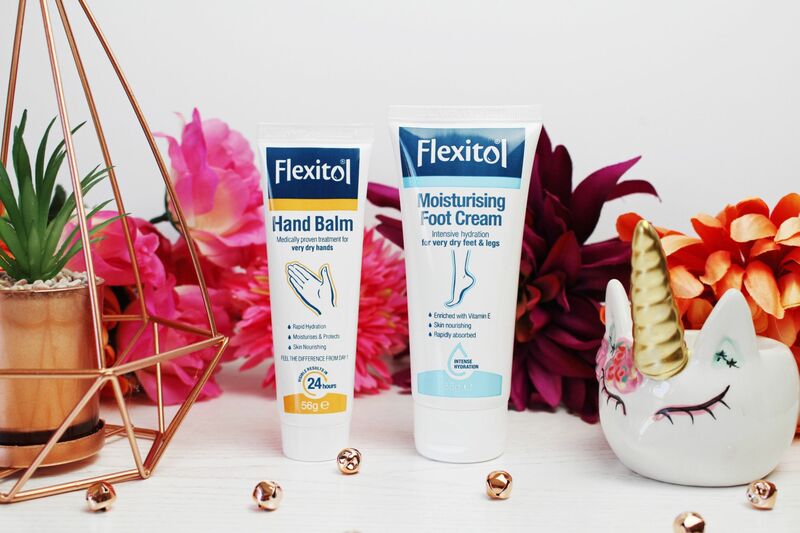 Today’s post is all about two amazing hand and foot creams by Flexitol. 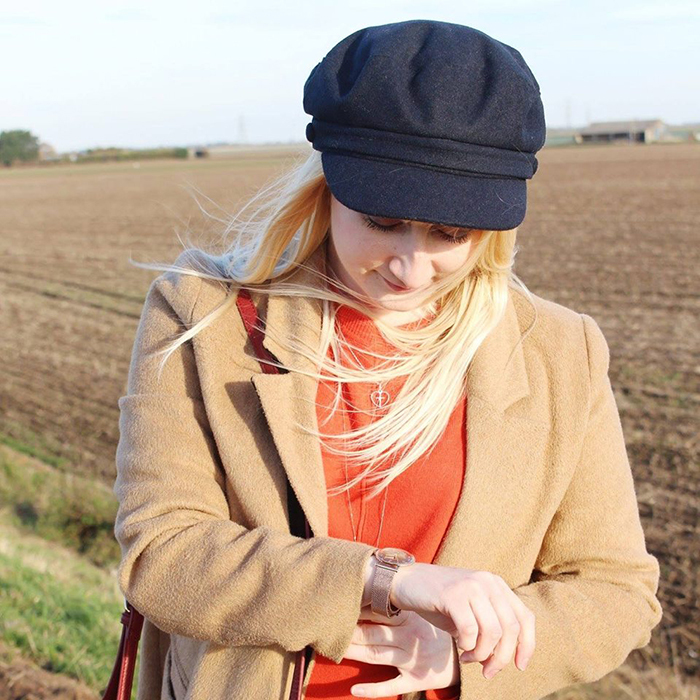 I am very honoured to be collaborating with Fexitol for today’s brand new post. I was sent a tube of hand and foot cream for review purposes and to test them out and let you guys know what my thoughts on them are. This review is 100% my honest opinions of the products. 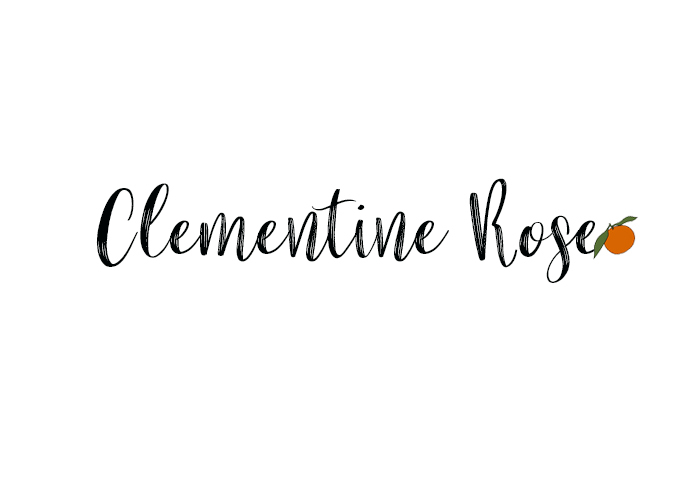 As you know that on Clem Loves, I write reviews on all of the things that I love. 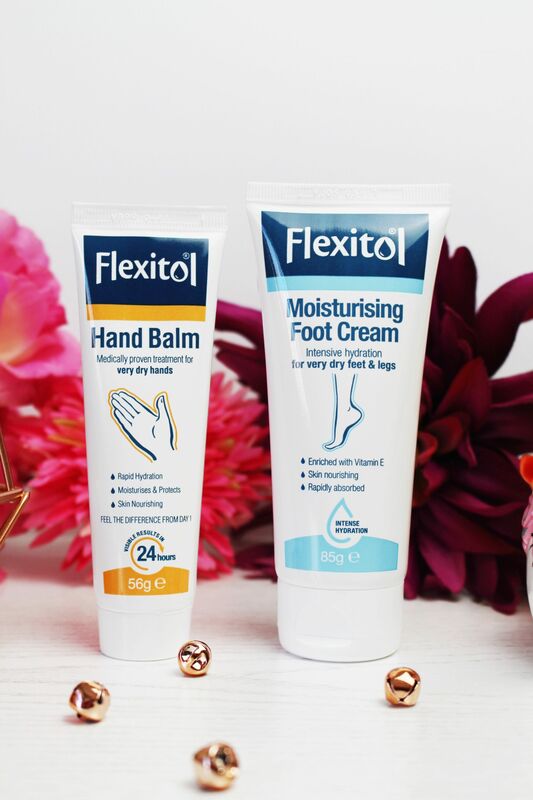 There is a wide range of the Flexitol products to choose from, which include Skin Balm, Moisturising Foot Cream, Hard Skin & Callus Cream. The Flexitol Heel Balm is the No 1 prescribed heel balm on the NHS. 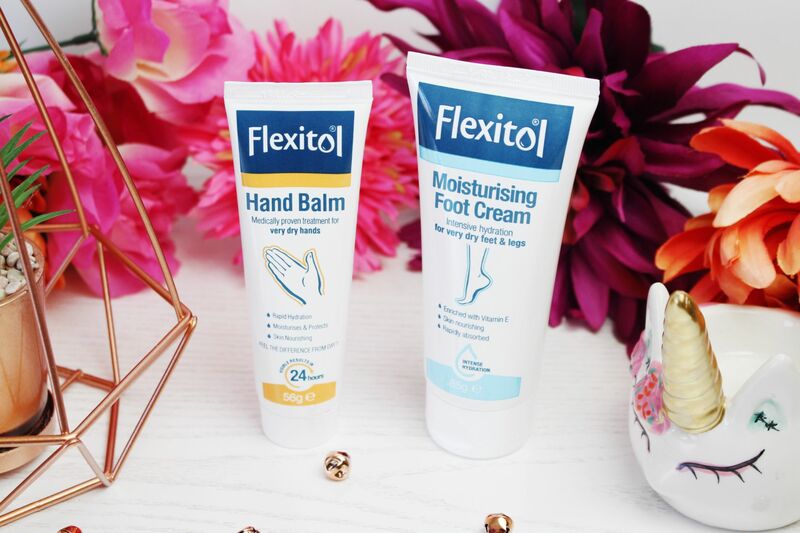 The two products that I am reviewing on Clem Loves today are the Hand Balm, which is a medically proven treatment for very dry hands, and the Moisturising Foot Cream, which is an intensive hydration for very dry feet and legs. With the job that I do, I am constantly always washing my hands, and in return, it does make them suffer quite a bit. Also, some of you may know that I have OCD, and with my OCD I do wash my hands a lot anyway. I’ve always been prone to getting dry hands, but even more so now. So it’s very important that I try and look after them the best I can. It also goes with the rest of my body, I do tend to get very dry skin along with eczema, which I mostly get on my legs. The Hand Balm is a rapid hydration for the skin, it moisturises and protects and is very nourishing. The packaging also states that you get visible results in 24 hours. The Moisturising Foot Cream is enriched with vitamin E, is nourishing and rapidly absorbs. I decided to choose the hand and foot balm because those are my most problem areas when it comes to dry skin. My hands especially and around my heels and legs due to my eczema. My eczema tends to get worse during warmer weather. This product is definitely my new number 1 hand cream to use. The cream instantly absorbs on to the hands and there wasn’t any greasiness, that you can sometimes get with some hand creams. 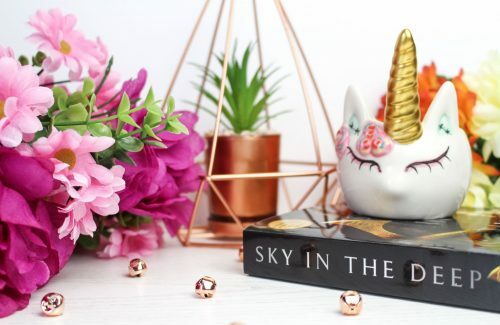 I especially love that it absorbs into the skin very quickly, as I’m usually having to wave my hands about trying to get hand cream to absorb! So straight away this hand balm was gaining many points. After applying, I did notice straight away that the cream helped my hands to feel so much softer already, which felt so nice. When my hands are having a bad day, the skin just cracks so much and ends up bleeding and they get so sore. 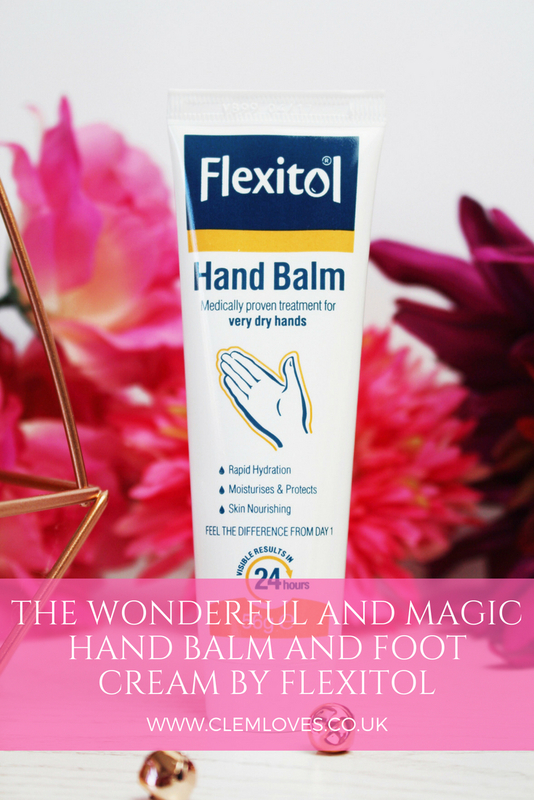 I am very impressed with the Flexitol Hand Balm. After using the balm for the first time, within 24 hours the skin texture on my hands had definitely improved and reduced the signs of dry skin. The soreness of my hands had gone too that I get with the dry skin. Lots more bonus points for the Hand Balm. If like me you get very dry hands, I highly recommend checking out and giving the Hand Balm a try. I am so pleased with it and it is really helping my hands so much. Especially with continuous use. 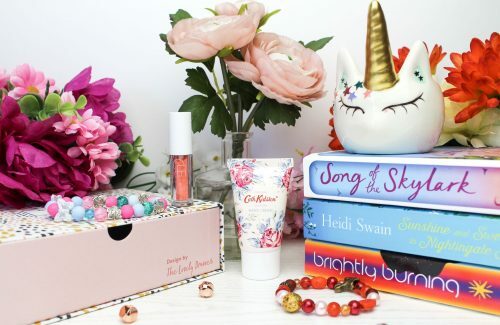 On the box it says that the balm provides effective, long-lasting moisturisation and rapid hydration for very dry hands, including very dry skin associated with mild dermatitis, eczema and psoriasis. The formula contains Urea in a blend of emollients and is designed to be none greasy and easily absorbs, which I found out straight away after applying! The Hand Balm also doesn’t have a strong or overpowering scent to it. I can’t quite explain what it smells like, but I actually really like the smell of the cream. It’s got a nice hand creamy smell to it! My first thoughts on the foot cream, was, like the hand cream, it quickly absorbs into the skin and automatically makes the skin feel so much softer after applying. The texture of the cream is lovely and light, but very moisturising at the same time. For my legs especially with my eczema, this is my preferred texture of a cream. As if a cream is too heavy on the skin, it’s like it feeds my eczema rather than help it. As with the hand cream, the scent of this cream is rather nice. Again I can’t quite explain it, but it’s a nice creamy smell! If that makes sense. I also gave my mum this cream to try, as she gets dry skin on her heels too and has also had a blister. 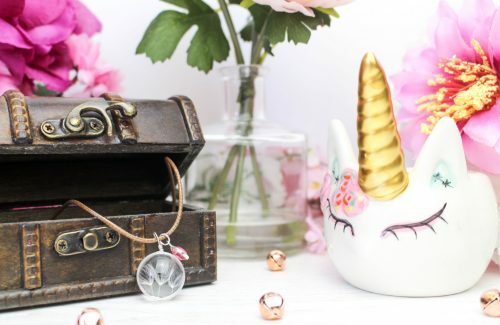 I asked my mum to give me her thoughts on this product, so I can share them with you! My mum said that after applying the cream before she went to bed, she definitely noticed a huge difference the next morning. After just the first use, she said that her heels felt much softer and it really helped a lot with the dry skin and helped the blister too. 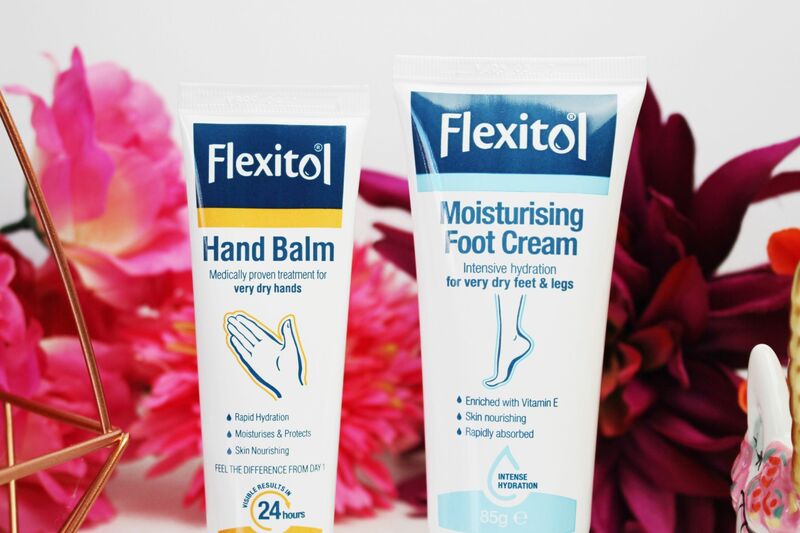 As we use our feet every single day, it’s so important to look after them, so this cream is a real treat for the feet and legs and just like the Hand Balm, I highly recommend it. 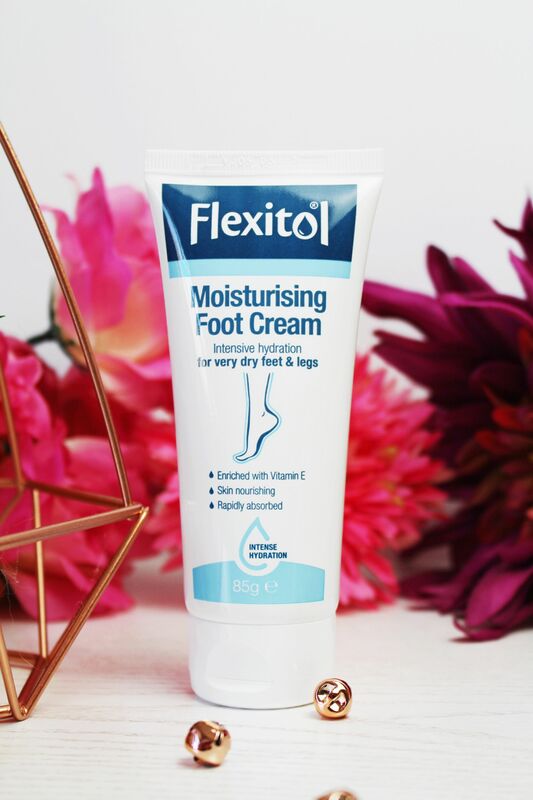 It says on the tube, that the Flexitol Moisturising Foot Cream keeps skin smooth, silky and intensively nourished, helping to restore skin to its natural appearance. This is an amazing foot cream and one that definitely works and does what it says on the box. Again, especially with continuous use. My overall thoughts on both of the creams, (well you can probably already guess reading my reviews on both of the products above) are that these are 2 very amazing and wonderful creams that help the skin so much and do exactly as they say. I’m very happy with each one and I know my mum is very happy with the foot cream too. I personally love to apply creams at night, so they have the whole night through to work and then I apply in the daytime, as I need them. It’s so nice to have a hand cream that does wonders to my hands. You get 56g of hand balm, which is a very generous amount of product for a hand cream. With the foot cream you get 85g, so you get a lot of product, which is great for when especially applying on both the feet and legs. Both products contain Urea, which is a “major constituent of the skins natural moisturising factor”. It increases the water uptake from the dermis, which helps with hydration. It enhances the skin’s ability to retain water and reduces water loss from the skin. It also improves the amount of water the skin can hold. Head on over to the Flexitol website to find out more about this ingredient that is used. I love both of these products so much. Have you tried any of the Flexitol products before? 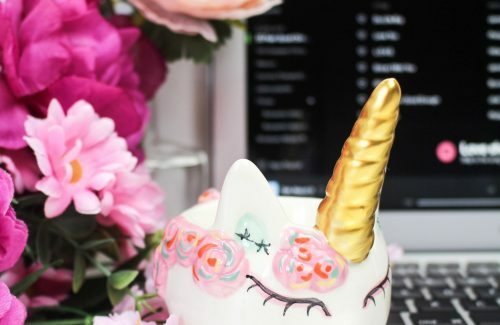 Looking for more skin care and beauty posts? Head on over to my Beauty section to find more.